This will be my final post in what has been a series on gender roles in the church, and I thank all of you who have sent encouraging emails and tweets along the way! Soli Deo gloria! You can read the previous posts in this series by clicking here: Part 1, Part 2, Part 3, Part 4, Part 5, Part 6. At the conclusion of my first post on 1 Timothy 2, I gave fair warning that I would be leaning upon respected New Testament scholars who have done much more thorough academic work on this passage of Scripture than I have had the time to do. I have studied a few different interpretations, and for the sake of time, I will here explain the argument I find to be the most compelling. 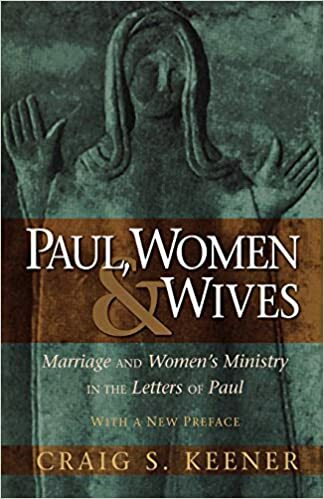 Dr. Craig Keener of Asbury Theological Seminary has written an incredibly helpful book on this topic entitled Paul, Women, and Wives: Marriage and Women’s Ministry in the Letters of Paul. I encourage you to check it out. 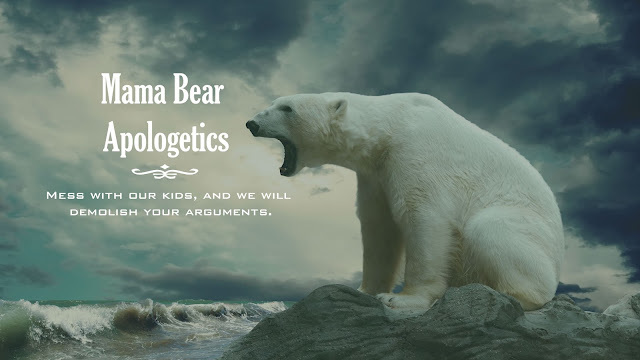 In addition, he has an excellent summary article that I will be referencing so that you can click over and read the entire piece for yourself. In 1 Timothy 2:11—15, Paul…forbade women to “teach,” something he apparently allowed elsewhere (Romans 16; Philippians 4:2,3). Thus he presumably addressed the specific situation in this community. Because both Paul and his readers knew their situation and could take it for granted, the situation which elicited Paul’s response was thus assumed in his intended meaning. (Emphasis, mine.) This makes quite a lot of sense to me. If you’re corresponding with someone about a specific situation they are facing and need counsel on, you’re not going to rehash everything they’ve told you when you respond to them. Paul simply tells Timothy what to do in order to correct the problems at the church he was leading in Ephesus. 3 As I urged you when I was leaving for Macedonia, stay on in Ephesus to instruct certain people not to spread false teachings,4 nor to occupy themselves with myths and interminable genealogies. Such things promote useless speculations rather than God’s redemptive plan that operates by faith. 5 But the aim of our instruction is love that comes from a pure heart, a good conscience, and a sincere faith. 6 Some have strayed from these and turned away to empty discussion. 7 They want to be teachers of the law, but they do not understand what they are saying or the things they insist on so confidently. 6 For some of these insinuate themselves into households and captivate weak women who are overwhelmed with sins and led along by various passions. 7 Such women are always seeking instruction, yet never able to arrive at a knowledge of the truth. Women were the most susceptible to false teaching only because they had been granted the least education. This behavior was bound to bring reproach on the church from a hostile society that was already convinced Christians subverted the traditional roles of women and slaves. So Paul provided a short-range solution: “Do not teach” (under the present circumstances); and a long-range solution: “Let them learn” (1 Timothy 2:11)…Again it appears that Paul’s long-range plan was to liberate, not subordinate, women’s ministry. The issue is not gender but learning God’s Word. (Emphasis, mine.) It is no wonder that Paul would forbid the women in Ephesus from teaching. Instead, he wants them to learn the truth in submission so that the false teaching will not proliferate. If Eve’s deception prohibits all women from teaching, Paul would be claiming that all women, like Eve, are more easily deceived than all men. (One wonders, then, why he would allow women to teach other women, since they would deceive them all the more.) If, however, the deception does not apply to all women, neither does his prohibition of their teaching. Paul probably used Eve to illustrate the situation of the unlearned women he addressed in Ephesus; but he elsewhere used Eve for anyone who is deceived, not just women (2 Corinthians 11:3). To be sure, we need only look at the numerous instances in history and in contemporary life demonstrating that women are not, universally speaking, more easily deceived than men. So that cannot be what Paul intended to say by bringing up Eve. Thus, the conclusion is, Paul did not intend his words to Timothy to be taken as binding on all Christian women forevermore. If we take his prohibition to be targeted at a specific community for specific reasons, then there is no contradiction with Paul’s other epistles, where he clearly permits women to pray and prophesy aloud in church. Remember, prophesying was a higher gift than simply teaching (though it included an act of teaching) and it was done in the hearing of all, male and female. Bottom line: Yes, from a biblical perspective, women can teach mixed audiences. With that said, I would also like to say, for the record, that I am not convinced that this means God intended for women to be senior pastors (or bishops, etc.). Jesus Christ was incarnate as male, and surely there was a reason for that, though for now we must be content with the mystery of it. It seems to me that those shepherding flocks under His name should be father figures in that sense. However, I harbor no thoughts of judgment whatsoever when I see women holding such positions. A few final, concluding remarks. When I set out to write this series, one of my main motivations was to gain clarity in my own mind about the truth of the matter. I had procrastinated on analyzing the biblical data and stating my official position concerning the role of women in the church. I owed it to both to myself and to the Christian community to do so. 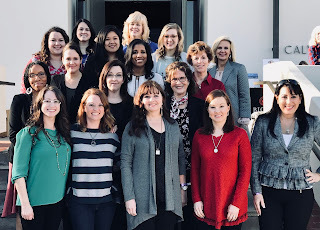 As a woman in ministry, I have always prayed and trusted the Holy Spirit to open and close the appropriate doors, and that approach has been blessed. I am grateful for the work the Spirit has done in my heart as I’ve finally hashed all of this out, and I now have a greater sense of peace and confidence as I anticipate the work He has ordained for me going forward.